You must make reservations at least 5 minutes in advance of the time at joan's in the Park. joan's in the Park restaurant and full service bar is an elegantly cozy dining destination, located on Snelling Avenue in Highland Park. We offer a 4 course menu designed by Chef /owner Susan Dunlop, which includes distinctive American cuisine . We offer only the finest ingredients, sourced locally when possible. Maître d'/owner Joan Schmitt (and Highland Park native) offers first-class hospitality. Our carefully selected wine, beer and signature cocktail list will also appeal to all tastes. joan's is a must try, if you enjoy great food and amazing hospitality in a warm and inviting atmosphere. Excellent waiter. Wonderful food. Will definitely be back! Best food in the city. Warm friendly service with small surprises throughout. Joan and Susan are wonderful. The tasting menu is excellent. It is expensive ($62 per person for 4 courses) but you are given a wide variety of choices (5-6 options per course) and the food is fresh and perfectly prepared. Our server was attentive, very knowledgeable about the menu and quite funny. He made the dining experience even better. I would highly recommend this neighborhood gem as a place to celebrate a special occasion or just to enjoy an extremely well prepared meal. The restaurant is small - maybe 10-12 tables so a reservation is a must but it's worth planning ahead to dine here. Amazing meal again. Never a disappointment. Service was wonderful. A little noisy but there was a very loud table right next to us. The food was outstanding. We enjoy Joan’s for special occasions because it is pricey. Worth the trip for a special dinner made with farm fresh food!! My partner and I and a friend from out of town dined at Joan's to celebrate our friend's birthday. We were so pleased with the food, which was outstanding: creative, prepared with great care, and above all, delicious. We agreed that the meal was the best we'd had in the Twin Cities. Our waiter was attentive and helped us choose a wine that went well with all of our entrees. We had the filet mignon, poached sea bass, and duck breast. The food and wine was rather costly, but it was worth it. This is a top French restaurant. The food is unbelievable and the service is just as good. They gave us wine paired with our fois gra that was amazing and an extra couple of glasses at the end of our meal - after we finished our bottle. Just truly exceptional. 5 stars. Food was superb!!! Dessert not so much. Hard to have conversation at a couple points because of growing decibels. Food presentation for the artist in you!!! Perfect date night because of Kelly’s excellent service and personality. Joan’s team is top notch and service appears seamless so the focus is on the date and not anyone else. Unbelievable service. An unexpected, delightful experience. This restaurant is a foodie’s dream, and is also perfection for anyone who appreciates fantastic service. We had an amazing time, thank you! Absolutely fantastic. Great service. Great food. We were treated like royalty on our anniversary. Chef came to our table. Wine pairing was crazy good. Go! Go! Go! Go! The staff is amazingly helpful and nice. The food was phenomenal. The chef even cam out and offered us a sample bite between courses. Our server did the same which was really fun! Like have extra courses added in. We didn’t order dessert but were given a complimentary glass of chocolate infused Merlot. Sounds weird but it was soooo good!!! I am not a wine drinker at all so I didn’t think I’d like it but it was amazing. We will be back for sure! First time dining here was for our 10-year anniversary. We arrived to a table with hearts on the tablecloth and an immediate pour of champagne. The tasting menu was phenomenal and reasonably priced as well. Service from Matt was great, and it was cool to meet Joan. We celebrated our anniversary at Joan’s tonight...fantastic as always. One of our favorites in the Metro area. The food is fun, creative and excellent quality...intimate atmosphere is a plus...we are moving closer so we can visit more frequently! And the service? You’ll never find better!! Thanks for a 5 ⭐️ night!! Always spot on, great service and food every time! I went with a couple friends to celebrate a birthday and it was truly an amazing dinner with awesome service. I would absolutely go back for another special occasion. Went here for a friends birthday. We both loved it. This is a prix fixe menu with lots of excellent choices in each course. The staff is friendly and eccomodating with excellent recommendations for each course. The gogonzola pear salad was exceptional and our main entree a filet mignon was perfectly medium rare, tasteful and juicy. I can highly recommend this restaurant for any special occasion. Fine dining for everyone. Best vegetarian choices for special occasion I have found in St. Paul. Every plate is a piece of culinary art. Delicious!! Impeccable service, and really interesting and tasty food. We were a table of four, ages between 16 & 77, and everyone came away satisfied and full. 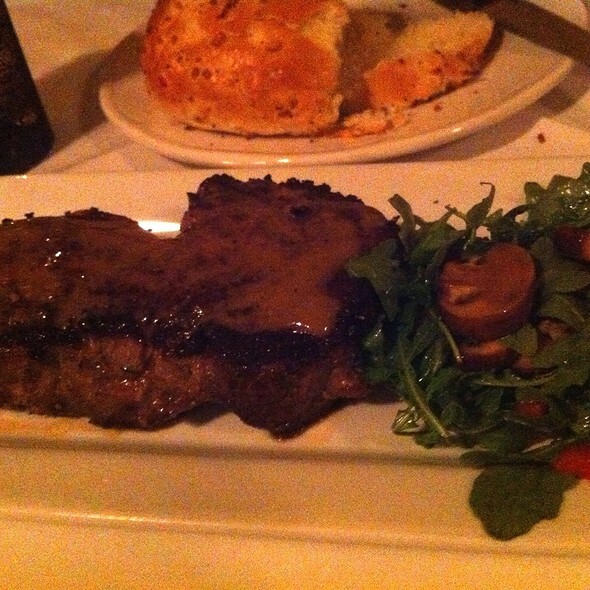 Joan's is our go-to place for special occasions. We always leave there 100% satisfied and looking forward to our next visit. The food is consistently delicious. The service is helpful and attentive. Don't miss the signature brown butter pudding. Excellent food . Great atmosphere and service !!! Our favotrite place ! The staff is exceptional and took care of our every need. 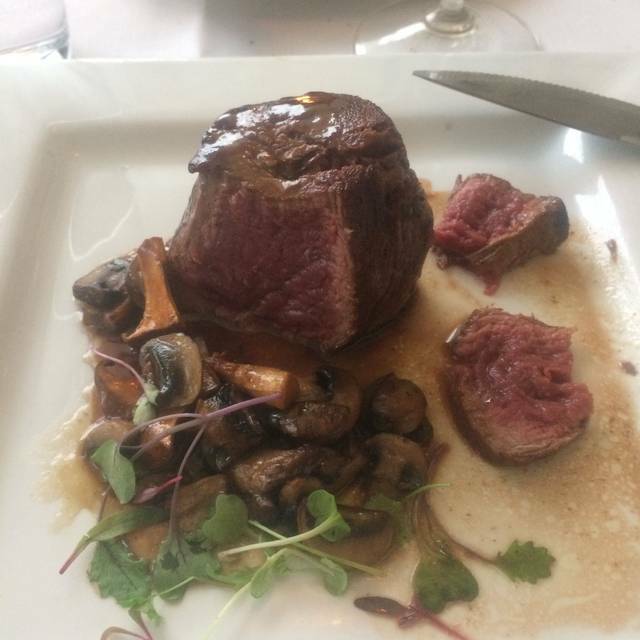 The food was beyond compare - my friend commented that it was the best filet mignon he had ever eaten. Extraordinary! We went to joan’s to celebrate our niece’s engagement. As always, the food and service were fabulous. On this visit, we particularly appreciated the little touches to make the evening special, including the sprinkle of hearts on the table and a photo to take home for the fridge! Thank you for a lovely celebration. This is a great spot for a special dinner with very tasty and interesting dishes. We all liked the tasting menu format and each course had amazing items to choose. Daniel our server was extraordinary and made the evening special. Prices are a bit high at $62/person and that does not include any wine pairings with the course. But overall a lovely experience. I LOVE this place! 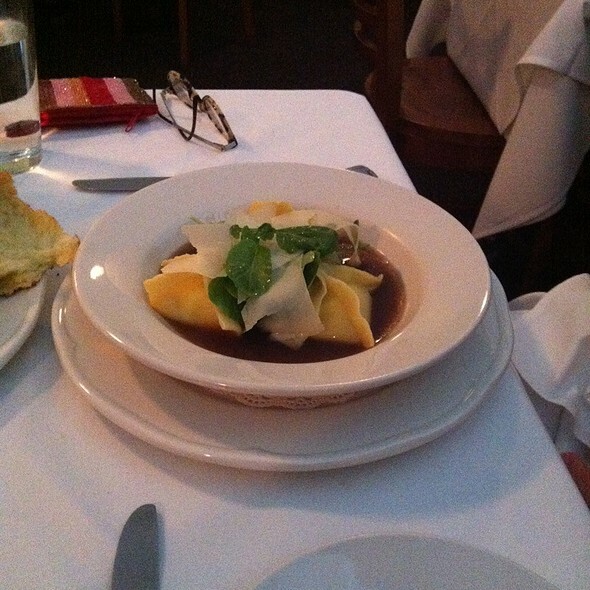 I have always loved everything- food is excellent, service is excellent, it is quaint.. nothing but good things to say! Fantastic food and service. Really a special place. Highly recommend it. This intimate neighbor restaurant delivers a superior dining experience: ambiance, tasting menu selection, highly trained wait staff - and, of course, outstanding food. Our reservation was for 7:30 but the party before us did not leave in a timely basis. We were offered a glass of prosecco for our wait. Everyone in our party chose a difference selection for each course so that we could taste virtually everything on the menu. Each selection was better than the next, including specific physical dishes that best displayed the beautifully plated food. 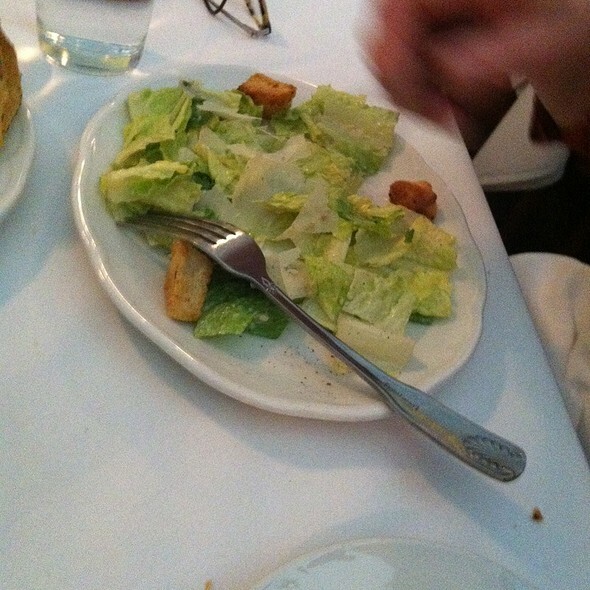 The waiter had explained to us that since it was designed as a tasting menu, the portions would not be large. Each of us was quite full at the end of evening - so the portion size was appropriate for the experience. Very attentive but not annoying staff. Interesting menu options. Presentation was excellent. A couple of nice amuse bouche surprises not on the menu between courses. While the food was good, it was not excellent. Delicious, inventive food. Fabulous service. A great place to a family dinner. Service and Food was Excellent. We were celebrating a birthday and we were greeted with a glass of champagne and confetti on the table. Very Nice. The Duck Special was Excellent. Wonderful as always! We brought relatives who are used to fine dining around the country and they were amazed at the quality of the food. 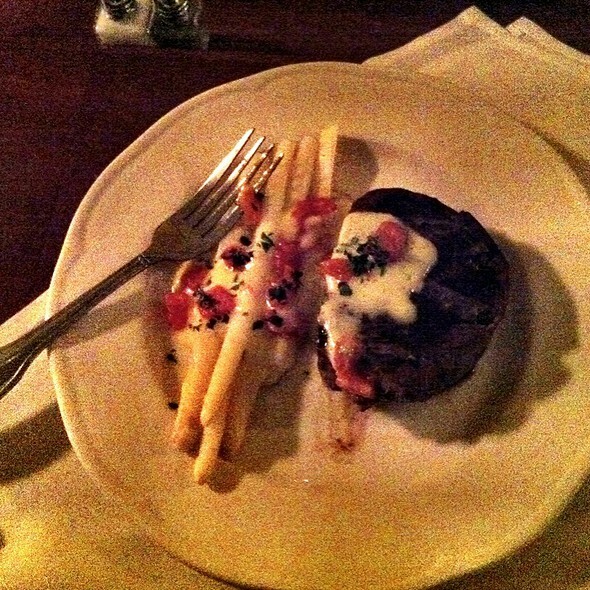 The filet is easily the best they’ve ever had. I informed the server of a recent diet restriction and the chefs worked with me to provide a meal that was delicious as well as good for me. I was able to leave the restaurant feeling better than usual after dining out. I wholeheartedly recommend Joan’s in the Park for your evening meal. You will not be let down. 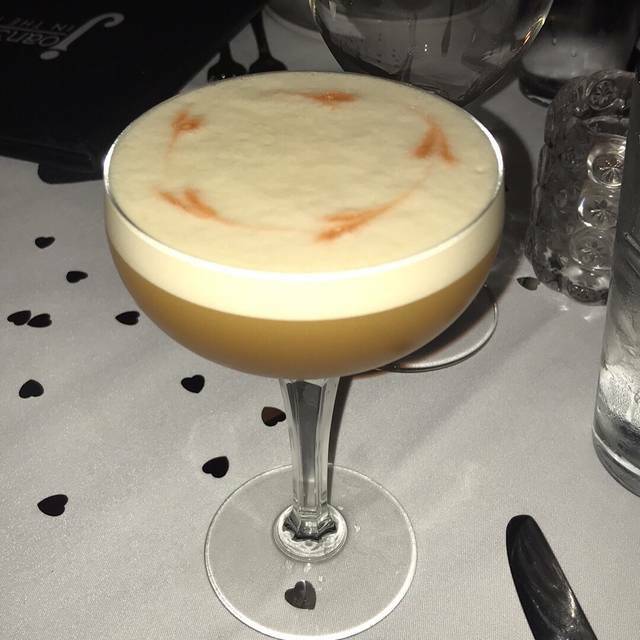 Great service, great drinks and great food. Not too crowded and quiet enough for conversation. Fantastic place. This was my first time at Joan's and was so impressed! The food was outstanding. The only reason for not giving 5 stars was the duck was a tough and not as well seasoned as other dishes. Highly recommend it!! Beautiful presentation and delicious plates to share. A tasting menu, but we chose individual small plates in appetizer and salads categories. The ingredients were fresh and easy to identify and blended well together on each small plate. Warmly greeted our party of four. The variety offered something for everyone. When we finally ordered an entree, only one of us was still able to consume it because our appetites were already satisfied. The fish of the day was perfectly charred and prepared, hot in temperature, cooked to flaking, melting in my mouth. The service was continual and excellent. The dessert pudding was also shared by four and each bite held a delightful mix of caramel and light pudding causing us all to dip in for a second spoonful. The dessert was extraordinary. What a jewel in Highland Park where no other fine dining comes even close. Truly a fine dining experience. 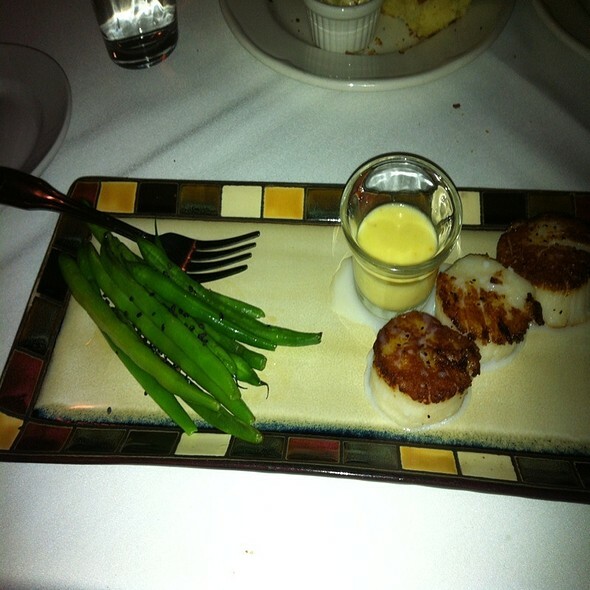 Delicious and impeccable service. We've eaten here several times and never had a bad meal, but our most recent dinner was truly excellent. 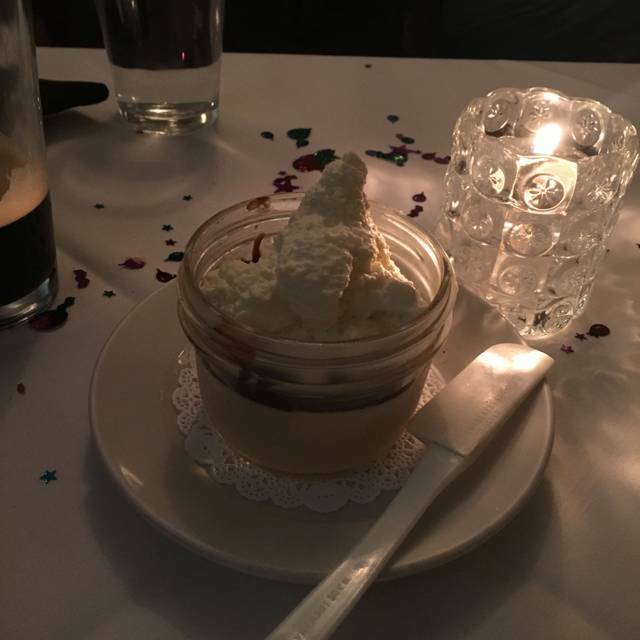 Despite it being a busy Saturday evening, the service was friendly and attentive, the ambience was warm and welcoming, and the four-course prix fixe menu offered plenty of good options to choose from. Everything we ordered was delicious and perfectly prepared; matched with a relatively inexpensive bottle of Cote de Rhone and the outstanding burnt butter pudding, it was a meal to remember. A meal here is a great experience. Great, interesting food and very good service. The only issue was it was a little chilly. Not a big deal. Two meals, a good bottle of wine and a tip for $220. The are less expensive options, but that isn't why we go here. One of the best spots in town. 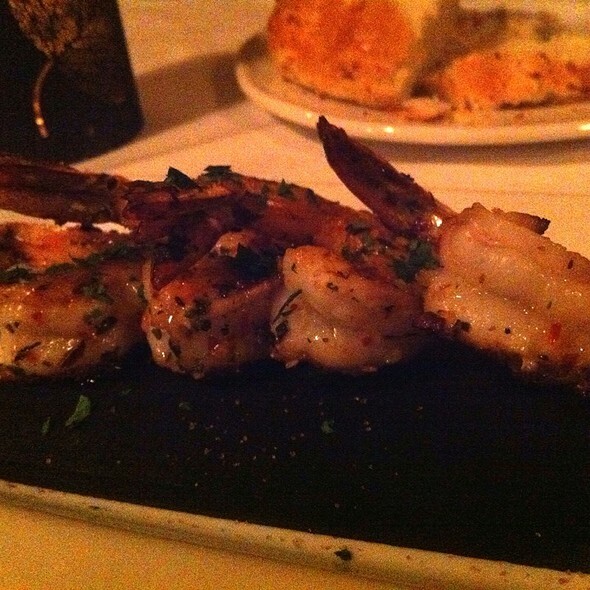 Always great food and attentive service. The Chef and service staff accommodated some special dietary needs with charm and tastiness. Wonderful dining experience.